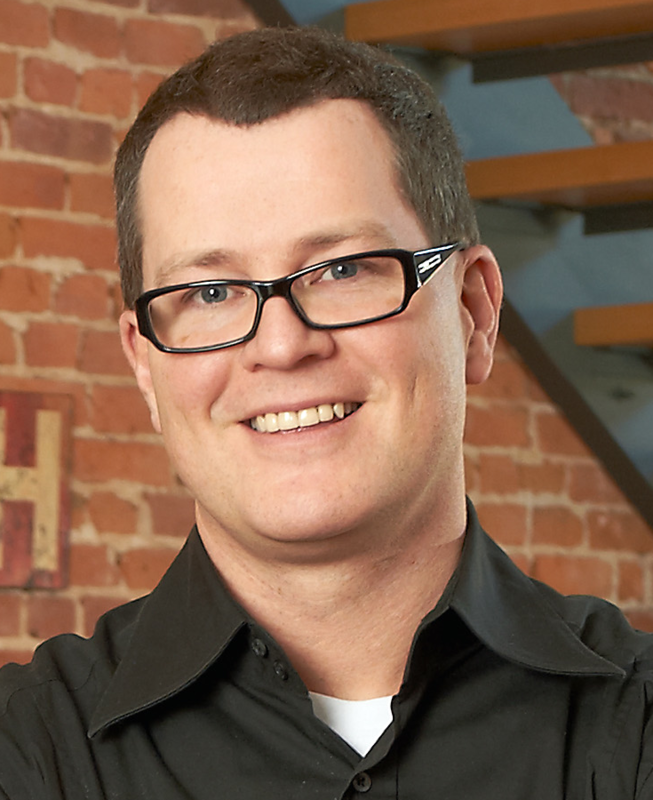 One year ago, we asked our Facebook audience to post a question for Kristopher Jones about local SEO as a strategy. Kristopher is (among many other things) the founder of lseo.com, a local search engine optimization solution for businesses that we really like. We chose the best five and got some interesting answers from Kris we’d like to share with you! 1. If you can only focus on 3 local SEO strategies, what should they be? Secure your Google My Business (formerly Google+ Local and Google Places – confusing I know) Page at https://www.google.com/business/ and follow the specific steps to get the page verified by Google. I can’t emphasize how important it is that you successfully verify your page. Once verified you need to optimize the page, which includes inputting proper geographic information about your business (business name, local phone #, address) and selecting the most relevant categories that define your business. It’s absolutely imperative that your geographic information is consistent across the Web – you simply can’t have multiple addresses, phone numbers, or different names for your business. When selecting categories for your business you’ll be tempted to put yourself in broad categories that may define part of your business, but do not accurately define what you truly do. Therefore, I recommend you spend the time to categorize your business only in those categories where you offer specific services – this will help your business rank much better for those specific areas, trust me. In addition to optimizing NAP (name, address, place) information you need to write killer copy about your business and leverage all of Google’s tools, including uploading interesting / entertaining / engaging photos and videos and also getting positive reviews about your business (I talk more about reviews in a later question). Google looks at engagement on your page as one of the factors used to rank your business in local search results. I recommend that you treat your Google page as if you don’t have an actual website, which means you should write copy that assumes the potential client is going to live and breath within the Google ecosystem and never end up on your website. This will likely be the reality for many local businesses (and it’s what Google prefers for obvious reasons). In this way you want to make sure you cover in detail all of the various services you offer or the benefits of your product. Think of your Google page as a primary resource prospective customers are going to use to make a decision about whether or not to do business with you. No shortcuts here gang! You’ll also have the ability to strategically drive traffic to your website by linking (think SEO – use good anchor text) to specific areas of your website to get more information about a particular product or service. Finally, you need to grow and engage your audience on Google. 2. Why do I still see spammy footer ridden sites with links to every single local town ranking locally? The truth hurts. The fact is that spammy websites still rank well (if only for a short period of time before getting sandboxed) because Google still prioritizes Page Rank (how many links coming into a particular site and the “quality” of those links) as a primary ranking factor over other ranking factors. I’d guesstimate that “links” still account for as much as 60% or more of the Google algorithm. Get a lot of high quality links and you will rank for highly competitive terms in most instances even if your website isn’t as “good” as other websites that rank for the same keyword. This is particularly true on non local intent keywords. I recently wrote a post on the fact that local businesses (where local intend keywords trigger local search results) really need to focus less on volume and more on quality and location of links. For instance, for a local business it makes most sense to generate as many links as possible within the geographic location of your business. It will also make a huge difference if you are able to get links from high authority local websites like local media (newspapers, TV, radio) and truly local online business directories. As for the spammy non-local websites those will continue to exist in Google search results as long as Google prioritizes Page Rank so heavily. 3. What are the 5 best ways to ensure a good and stable position in local SERPS? Secure, verify, and optimize a Google My Business Page. Unlock your business on at least 20 of the top Business Directories, such as Yelp, SuperPages, YP.com, Bing, ReferLocal.com (note from Joost: Kris is also the owner of this site), Yahoo, Bestoftheweb, etc. Write lots of quality content on a regular basis. Content marketing is critical to local search engine optimization. You must make a commitment to produce and publish content to your website (via a blog is fine) on a regular basis and share that content through social media. The content should be educational, entertaining, or simply value-added instead of sales-based. One tip I give local business owners on LSEO is to think about how they can build a content marketing strategy that will make their website the #1 resource for whatever industry they are in. Build local links to your website. Don’t wait for local organizations (non-profits, Chambers of Commerce, trade groups, etc), local partners (suppliers, distributors, vendors), and local media entities to link to you – request links or find a way where you can contribute content (written, visual, video) to the link partner site in return for a link (either embedded in the content, through an author byline, or as part of a partner page). 4. How can we optimize meta and title description for local SEO? 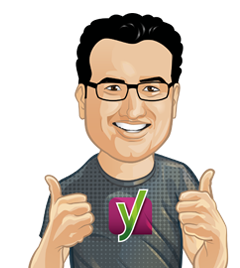 The Local SEO by Yoast plugin is obviously a great place to start if you use WordPress as your CMS! However, it’s SEO Best Practice to make sure you have a unique title tag and description for each page of content on your website. Write this down – Google ranks web pages, not web sites! In general, I recommend that each page of content focus on ranking for 1 or 2 keywords maximum. Stay focused. Those keywords should be the basis of your title tag and meta description and should also be the clear theme of the content and creative (images, video) of the page. When optimizing your pages don’t always go for the harder to rank broad keyword that defines your industry. Instead, build content around easier to rank longer tail keywords (2-3+ words in one search). If you are going to go after a hard to rank keyword save that for your homepage and if you can’t rank in the top 5 pages of the search engine results change the title and meta descriptions until you can rank on the first (or second in some instances) page for a desirable keyword phrase. 5. Is it still possible to rank well for local search terms, while your business is not physically located in that area? Yes, many National business directories, shopping comparison engines, marketplace websites, lead aggregators, etc rank quite well for city-based non-local intent keyword terms. However, local intent searches (i.e. Wilkes Barre Attorney) will trigger Google’s local algorithm which means local businesses will rank within a pack, carousel, or on a map (depending on the keyword being searched and the physical location of where you are searching). Local search packs do not include the lead aggregators, business directories, etc. In addition, it’s important to emphasize here that Google’s local search results favor Google’s ecosystem, which is why I (and other Local SEO’s) put such important on local businesses optimizing a Google My Business page. If you are a National business and want to rank for geographic terms understand that you’ll be competing against Google’s local search results and your website is most likely to fall under those results if you are successful. Based on my last 15 years helping businesses rank higher on search engines I believe there are two distinct types of small and medium-sized businesses in need of some type of help with search engine optimization. The first type of business is determined to learn SEO and do it on their own. For these folks we built an easy to use “Do it Yourself” Local SEO Software located here – http://lseo.com – you can unlock a full license for free for 14 days with no credit card required. The second type of business doesn’t have the time but nonetheless knows they need to take action to improve their ranking on Google. However, this type of business has a limited budget and most SEO agencies charge too much (I should know – I used to own one of these high prices agencies). For this second type of business we build an SEO consulting and management business that only charges what you can afford. Thanks Kris for taking the time to answer our questions! Optimize for a local audience! It is usually not easy to follow those steps, especially if you have to explain them to the client. I remember that we had a client once who really wanted to put a heavily advertising slogan under the name of his company in Google +. Obviously, we tried to explain it to him that this is against Google’s regulation and we may be facing some serious problems if we do, but it took us a lot of time to finally convince him to abandon the idea. Great advise, Thanks for sharing. its really helpful to people. its really very amazing and helpful artical. i think local SEO will understood about google business page vereymuch. Some great local seo tips there. Local SEO seems to be one of those topics that some SEOs don’t really get right because they don’t understand the importance of Google business pages. I have read a few blogs about local SEO and this seems to be one of the better one for answering frequently asked questions. Your post is hopefully wholly acceptable and I am so much impressed. Really I enjoy this. First off, thanks for the article. Secondly, I would like to ask you opinion or maybe direction with a question so here goes. I own a remodeling company in the St. Louis Metro area. I don’t work in the city and there are a few areas around the city that I don’t either. So should I focus solely on my location? i.e. Bridgeton Missouri or is it a good idea to create pages and topics for the different little cities? Hazelwood, MO; Chesterfield, MO; St. Peters, MO? I understand your time is valuable but if there is a quick answer or an informed opinion you may provide me without much trouble I would greatly appreciate it. I don’t believe that Google offers categories anymore – certainly none that anyone here can find. One thing I am having trouble with in setting up a “local business” is that I am a photographer and work from home with no “brick and mortar” place of business. I am reluctant to advertise my home address as I have expensive equipment stored there and want to temp possible burglars. I followed the instructions on Google Business about not having a fixed place of business but my address still is shown on the listing. I have the same problem and have twice spoken to Google Local staff about it with only limited success. Even if you select the ‘I serve customers at their location’ and ensure that the ‘I also serve customers at my address’ is unchecked the town and county/state name is still displayed in SERP and Google+. You can avoid the map being centred on your address if you name the areas you serve and leave the ‘distance from my address’ blank. However this has a significant negative impact on your local SEO which is what Kris is trying to help us with in this post! All good points on local ranking factors. Relevant, niche specific links are still working pretty well these days also. Thanks for sharing such wonderful info buddy. Easy-to-understand tips on a very complex topic. Small businesses struggle with online visibility and you gave some key action items that can help them today! Thanks! Excellent article and very instructive. For months trying to create a guide on Local SEO for my clients and I think this article will help me to finish it. Awesome article! I’m very new to SEO and local search but I’m an “information junkie” and learning fast thanks to articles like this and websites such as Yoast. Thanks again! I have a Google Local page (google maps) and a business page. I want to merge them since there are reviews on my Local Page. However, I don’t find how to do that. Any help? Thanks for a great post! Short and to the point and with great information that I can use. This is a great article. I don’t have a local business though. I have a Blog and I sell through a company website. How can I make my Blog pages and posts rank higher. Do you have an article for that? Great post! I’ve been working on these things for a local business and am concerned that it may be TOO localized. Any tips for including surrounding service areas for a business? I have a question about Google my business that I have not been able to figure out. We have two locations in our town and I have placed them both on google my business. When a person searches in google search, only one of those locations shows up. Several other business in town with several locations show all their locations. Suggestions please. Great tips, Kris. I was updating my Google Business Page as I read your article! Excuse my ignorance as I am new to SEO and coding my own work, but how does one UNLOCK a business on the sites you mention? Anne – what sites are you referring to? This was one of the good post. Thanks for sharing your ideas. Great advice, Kris. Many people overlook optimizing the Google Business Page, but it’s a huge indicator to Google. We often use Moz Local to clean up incorrect local directory listings. Do you have a service of choice for that? 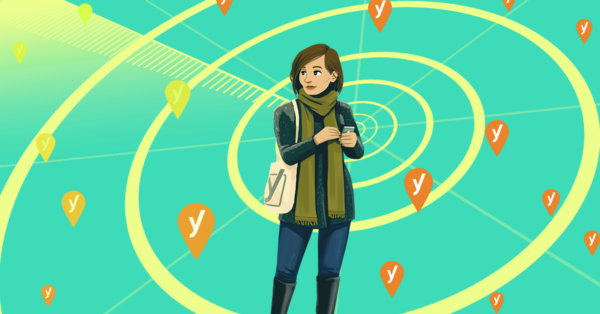 Yext is quite a bit more expensive but has more direct relationships with local directories. Marcus – we don’t have a specific preference for local listing management. However, within the LSEO software we recommend 20 of the top local directories every local (US-based business) should be in. Great post. Do you have any advice for a business that has two (or more) offices in different cities. Will the two different addresses creat NAP problems? Thanks. Great advices!!! thank you for the post..
George – I’d focus in on your core market (where you get most if your business). Google’s local search results are triggers by locale so it’s possible that you get triggered in multiple locations, but it really depends on the size of each of the location within the 50 Km radius….that’s why I’d focus on the center or your core market w/in the radius. 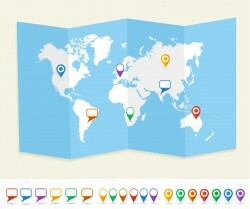 Thanks for the pragmatic guide on local SEO, will defintely use some of your tips! Local SEO is going to be more and more relevant now we see much more local websites/businesses triggered when using broader search terms, thx again! Kris, this was one of the best posts on this blog. Thanks for taking the time to write it! Thanks Devin! I appreciate your comment! These are good inputs especially for people who wanted to place their business online. The competition is quite big and knowing some tips for local SEO is a BIG PLUS ! Thanks for for sharing these inputs. That’s exactly right! all too often people try to rank for impossibly difficult keywords. Whereas a less competitive, local search will often bring in exactly the clients you are going for. Thanks Arsie! I sincerely appreciate your response. If you have any questions please post them!